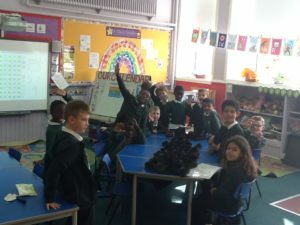 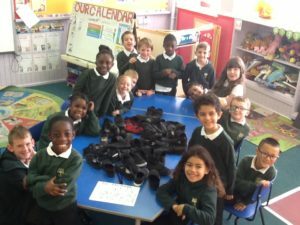 Yesterday, after football training and outdoor learning, we left our gym shoes downstairs – whoops! 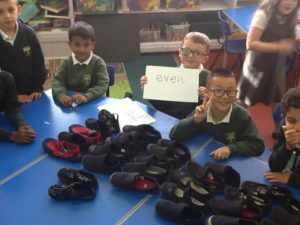 So at the end of the day, with a couple of P2 helpers we retrieved the gym shoes and put them all in a box ready for morning. 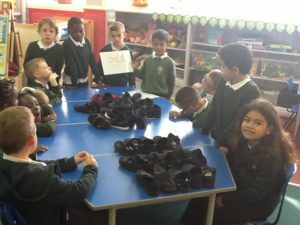 We soon realised that it was going to take some sorting skills to identify everyone’s gym shoes. 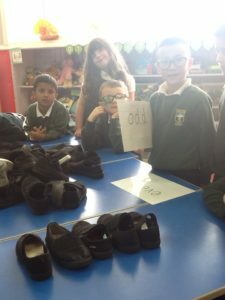 We decided to use what we have learned this week to organise, count and sort the gym shoes. 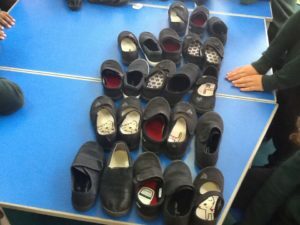 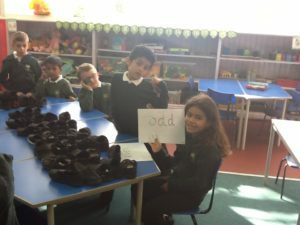 Miss Coutts made up groups of gym shoes and we counted them in 1s, 2s, 5s and 10s. 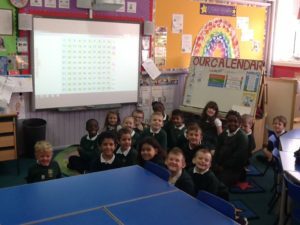 We all use different counting skills. 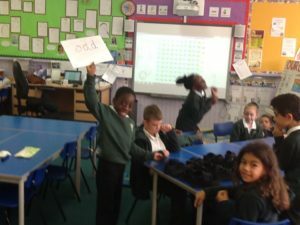 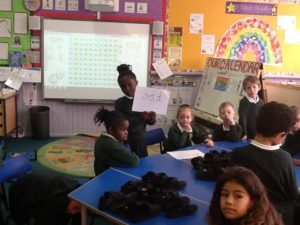 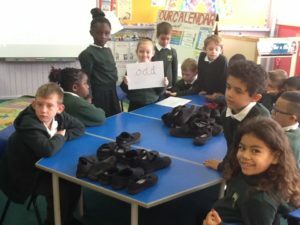 We spoke about doubling numbers, and used what we knew to help us add big groups of gym shoes together. 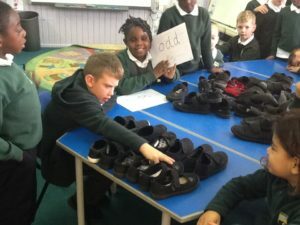 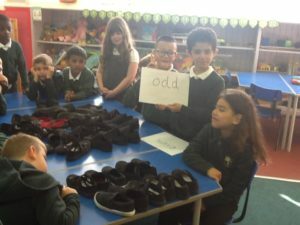 We had learned about Odd Todd and Even Steven yesterday and each had a turn at identifying odd and even groups of gym shoes.